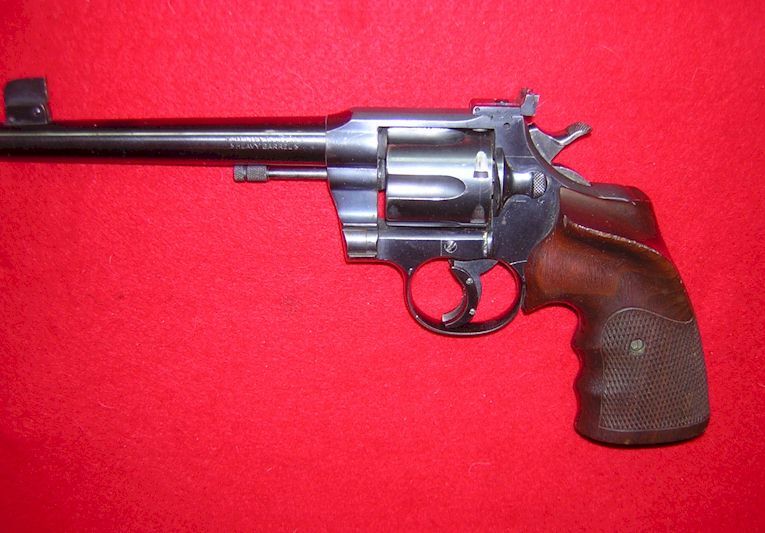 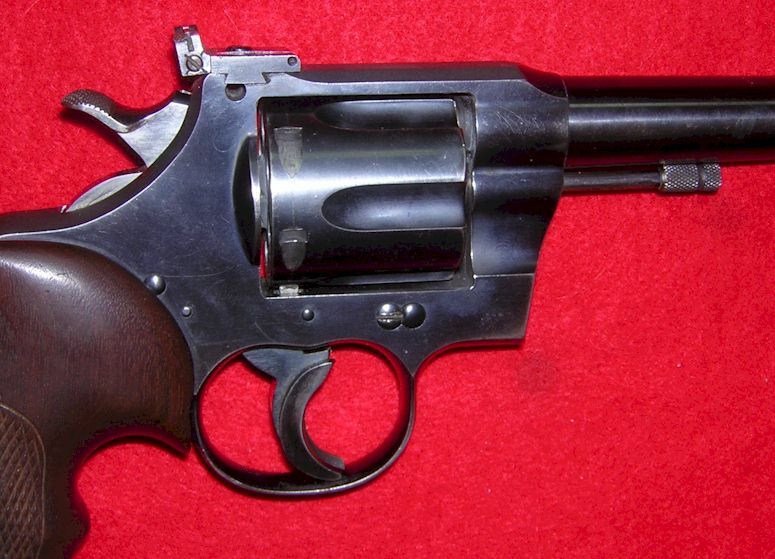 Colt Officers Model Target pistol in 38 caliber. 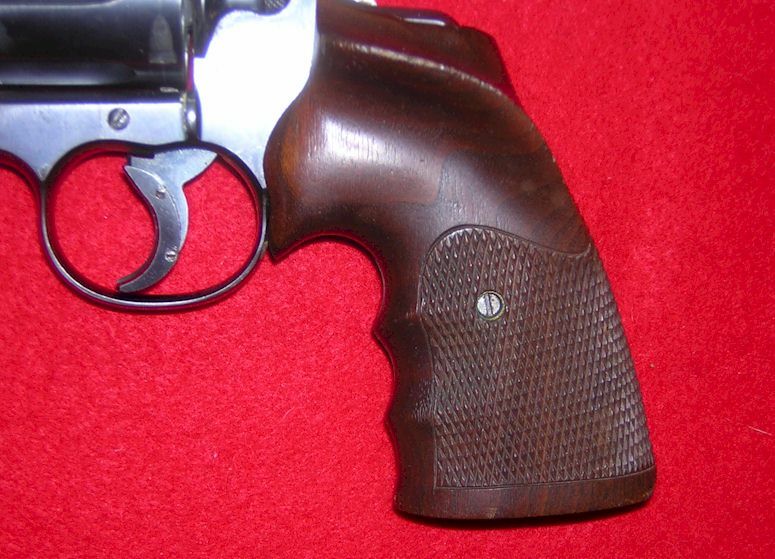 Custom wood grip, and trigger extension with the much sought after heavy barrel. 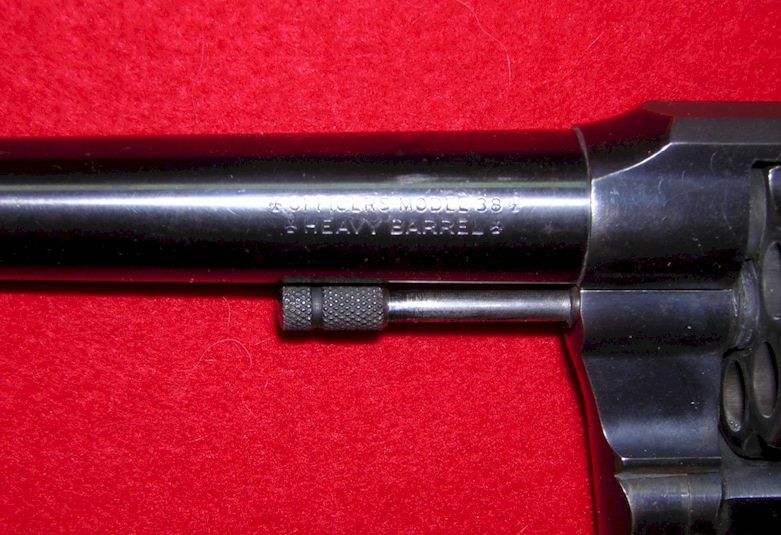 Bluing well over 95 percent and bore excellent. 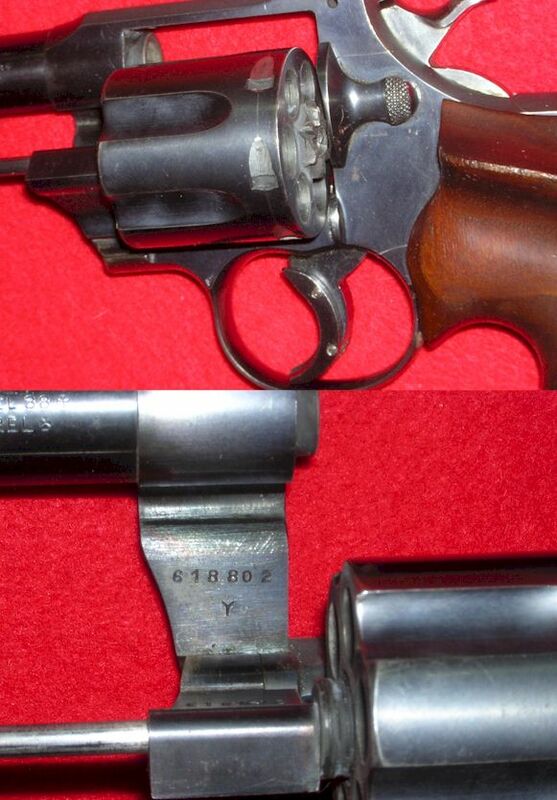 This pistol has a serial number of 618802 and the greatly elevated blade on the front post site. 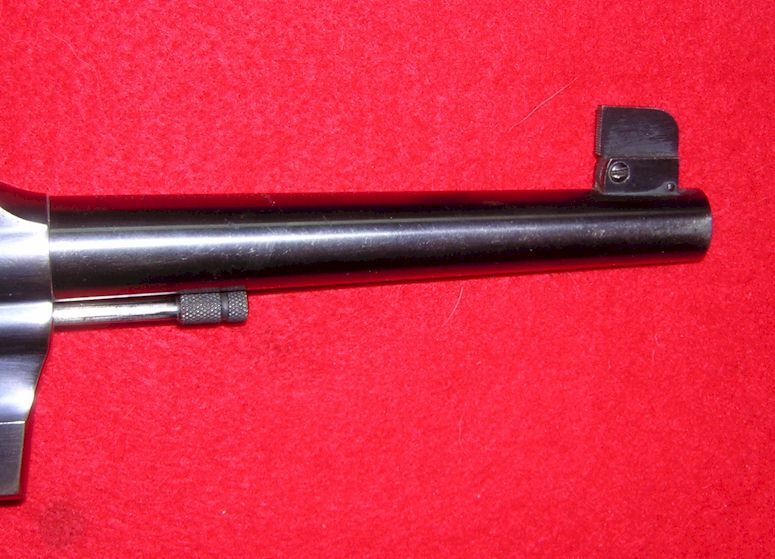 A very accurate and nice shooting pistol.